Still from The Ride, 2015, 3-channel color digital projection; 18:42 min., Image courtesy of the artist. Beulah Land (162 Avenue A) opening, January 15, 1984. Image courtesy of the artist. In 1980, Paige Powell, a fifth-generation Oregonian, left Portland for New York City. After landing at Interview magazine, where she rose to associate publisher, Powell became close with Andy Warhol, Jean-Michel Basquiat, Francesco and Alba Clemente, Tama Janowitz, Stephen Sprouse, and others who would come to define the New York art scene over the next decade. Camera in hand, she moved through the city, forming relationships with people and places that spanned across cultural and economic boundaries, capturing the city’s many realities. Taking up video in the early ‘80s, Powell was one of the first in New York to adopt camcorder technology. After returning to Portland in 1997, she continued to embrace digital tools as she documented the rising careers of close friends such as Thomas Lauderdale of Pink Martini and filmmaker Gus Van Sant. Until recently, Powell’s extensive collection of images, video, and ephemera from over a decade in New York lay tucked away in boxes. For the past two years she has been working with archivists, unearthing and cataloging her body of work. 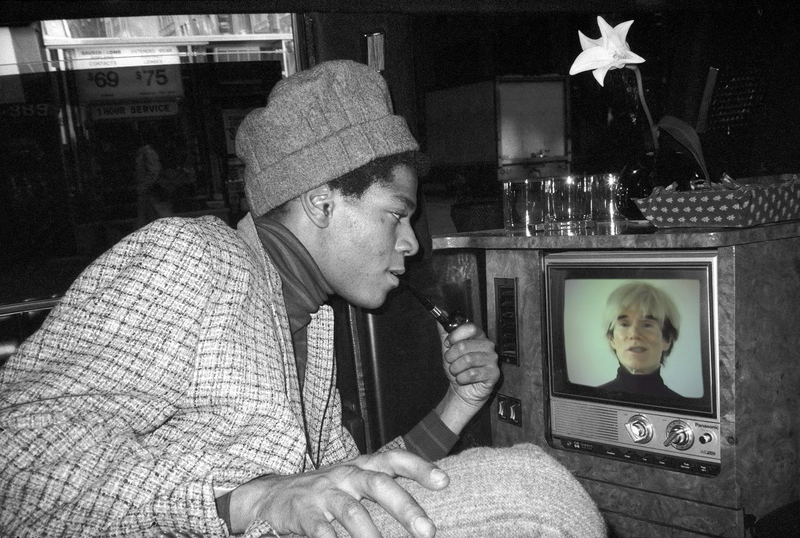 Culled from this archive, The Ride comprises a three-channel video featuring never-before-seen recordings of Andy Warhol and Keith Haring; candid photographs of Powell’s friends including Warhol, Haring, and Basquiat; and Beulah Land, an interactive installation of over 800 images recreating a 1984 exhibition of Powell’s photographs, with sounds mixed by artist David LaChapelle. The Ride continues the Museum’s commitment to showing video and new media, inviting visitors back to the video space created for last year’s Richard Mosse: The Enclave. The multi-part installation in the Museum’s Jubitz Center for Modern and Contemporary Art immerses visitors in the creative climate of 1980s New York, while the gallery adjacent to the video space displays Kenny Scharf’s companion exhibition Cosmic Cavern and the Link Gallery downstairs presents key works by other pivotal contemporary artists, including Warhol and Basquiat. Co-presented with the NW Film Center.